[An employer] must furnish to each employee a place of employment free from recognized hazards that are causing or likely to cause serious injury or death to employees. The Washington Court of Appeals recently sketched out the elements of the general duty to provide a safe workplace. Western Oilfields Supply v. Dep’t of Labor and Industries, 1 Wn. App.2d 892, 408 P.3d 711 (2017). Moreover, this appears to be the first case to discuss the elements of a violation of WAC 296-155-040(1). The heading of the court’s discussion refers to WAC 296-155-040(2). 1 Wn. App.2d at 901. But that provision imposes a specific duty, not a general duty. Stute v. P.B.M.C., Inc., 114 Wn.2d 454, 460, 788 P.2d 545 (1990) (“[S]ubsection 1 … contains the general duty and subsection (2) … contains the specific duty.”). The distinction is important. An employer owes a general duty only to its own employees. It owes specific duties to any employee who may be harmed, not only its own employees. Afoa v. Port of Seattle, 176 Wn.2d 460, 471, 296 P.3d 800 (2013). In any event, the text of the court’s discussion clearly relates to WAC 296-155-040(1) – the general duty. 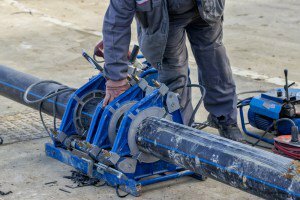 The case involved a worker who suffered a severe hand injury while operating a pipe fusion machine. The injury occurred when he reached into the machine to remove some shavings without turning the machine off. His hand became pinched between a pipe and a facing plate. The force crushed his hand. (i) the employer failed to provide a workplace free of a hazard, (ii) the hazard was recognized, (iii) the hazard was likely to cause death or serious injury, and (iv) there were feasible means to eliminate or materially reduce the hazard. 1 Wn. App.2d at 901. Whether or not a workplace is free of a hazard is largely a question of fact. The question turns on the particular circumstances of each case. In Western Oilfields Supply, the court found substantial evidence existed to support the finding of an unsafe workplace. It specifically rejected the employer’s argument that an adequate safety and training program negates any hazard at the workplace. 1 Wn. App.2d at 902. A hazard is “recognized” if the employer had actual knowledge that the condition was hazardous or it is generally known to be hazardous in the industry. Recognition may be proved without reference to industry practice or safety expert testimony if the hazard is “obvious and glaring.” An employer’s knowledge can be actual or constructive, and common knowledge can be used to establish that a hazard is recognized. 1 Wn. App.2d at 903. In Western Oilfields Supply, there was no dispute that the hazard was likely to cause death or serious injury. 1 Wn. App.2d at 904. Therefore, the court did not discuss this element. Under OSHA, a hazard is likely to cause death or serious injury unless that would require a “freakish or utterly implausible concurrence of circumstances”. Donovan v. Royal Logging Co., 645 F.2d 822, 829 (9th Cir. 1981). The court recognized that “[e]mployers do not have an absolute duty to make safe the working environment of its employees.” However, they “do have the duty to abate recognized hazards. An effective abatement method is one that will materially reduce or eliminate the hazard and is a feasible and useful means of doing so. Abatement is feasible when it is ‘economically and technologically capable of being done.” 1 Wn. App. 2d at 904. The post Court of appeals discusses elements of safe workplace general duty violation appeared first on The Gillett Law Firm.